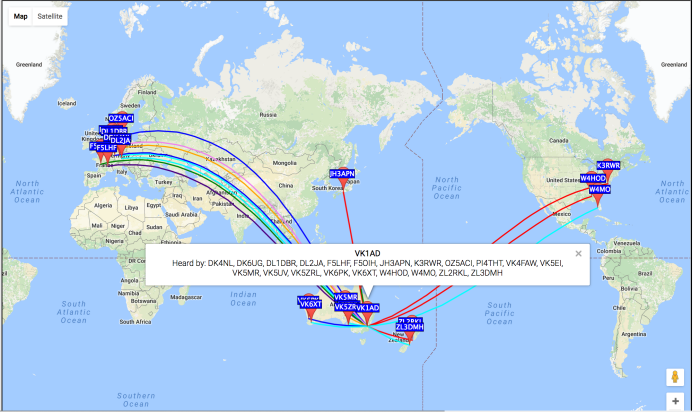 Results of my WSPRLite operation over the last 24 hours. 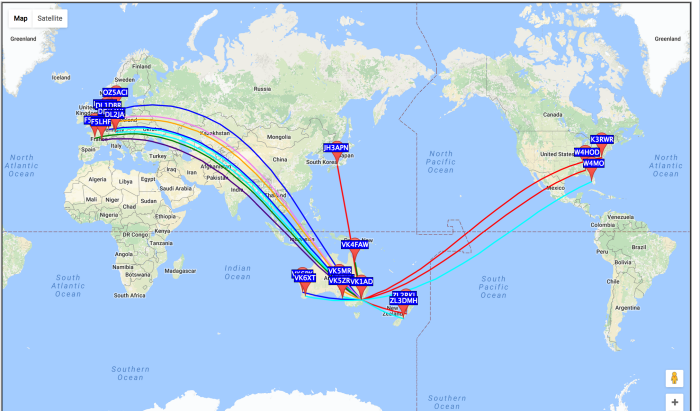 Having operated the WSPRLite beacon into a 40m OCF for 7 days it’s time for me to turn on my receiver and spend this weekend listening for WSPR signals on 20m (14 MHz), I’m keen to receive a WSPR signal from K5ACL Austin Texas. I won’t be sitting next to the radio, I have a list of domestic duties to complete! Next week I will change the WSPRLite operating frequency to 30m (10 MHz) with a lower power setting. Oh what to do to get out of the cold BC winter? Well let’s just head south and see what we can do that is ham related. 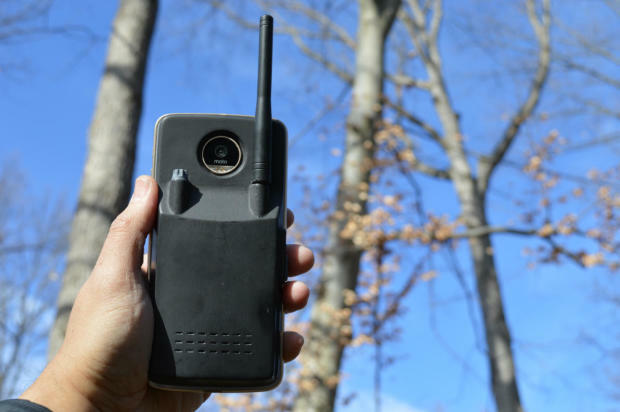 I just wanted to reach out to you about our acceptance into Motorola’s ‘Transform your Smartphone’ Challenge.